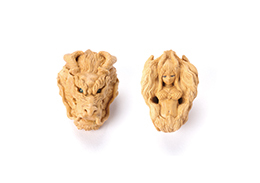 As kimono culture flourished during the Edo period (1603-1868), netsuke, small carvings, were created as toggles to hold pouches and cases containing tobacco and medicine in place on the obi sash worn with the kimono. 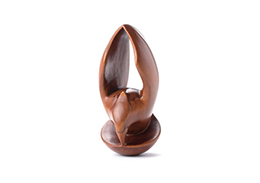 What began as functional pieces to prevent those little suspended containers from falling to the ground evolved into small but highly creative carvings. 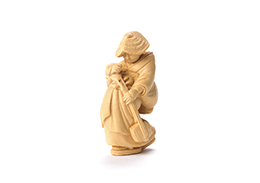 Today, classic netsuke have gained international acclaim as remarkably detailed carvings. 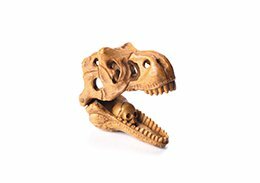 Contemporary netsuke incorporating new subject matter and approaches have also been attracting attention. 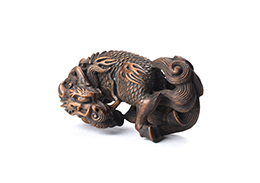 This traveling exhibition showcases contemporary netsuke carved of wood by living netsuke carvers in Japan, plus netsuke created by contemporary artists such as Izumi Kato. 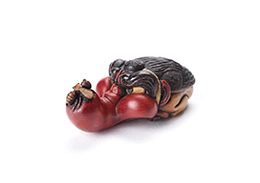 It also includes wooden netsuke that visitors may touch. 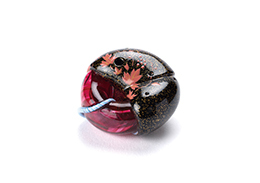 Through this exhibition, visitors will appreciate the sophisticated skills and playful minds behind contemporary netsuke as well as its formal beauty and contemporaneity. 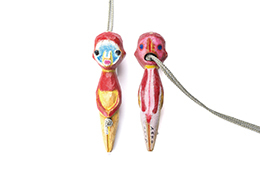 *The exhibition will be closed between 13th Feb and 21st Feb due to Lunar New Year.